Yokogawa Electric Corporation announces that Yokogawa India, a wholly owned subsidiary, will launch production on March 28 of a principal Yokogawa field instrument product line, the DPharp EJA-E series differential pressure/pressure transmitters. The decision to launch production in India comes in response to a rising demand for control devices in this market, which has been driven in part by Indian government policies that seek to foster stable growth in the mid-to-long term through the promotion of projects for the construction of oil, petrochemical, and power plants and other types of industrial infrastructure. The launch of production in India will allow Yokogawa to better meet the needs of its Indian customers by, for example, speeding up product delivery and providing customized solutions. To start, three DPharp EJA-E series products that are in particularly strong demand will be produced in India, and other products may be added at a later date. Already one of the largest suppliers of differential pressure/pressure transmitters in India, Yokogawa aims to capitalize on the high growth in this market to expand the scale of its business. In India, the company is targeting the annual production of 100,000 units by fiscal year 2020. Differential pressure/pressure transmitters measure pressure, flow rate, and liquid level, and play an important role in the oil, petrochemical, chemical, iron and steel, power, and other industries in processes that involve the handling of liquids, vapors, and gases. Globally, some 300 billion yen worth of these products are sold each year, making this the largest segment in the field instrument market*. In addition to our production in Japan of core components and finished differential pressure/pressure transmitters for the global market, we have been producing these transmitters in China, the United States, Bahrain, Singapore, and Brazil. Following our launch of differential pressure/pressure transmitter production in India, we have a plan to introduce production of these products in Russia, Germany, and Saudi Arabia. Yokogawa Electric Corporation announces that its subsidiary, Yokogawa (Thailand) Ltd., has received letters of intent for the purchase of control systems for 12 combined cycle cogeneration plants*1 that are to be built for small power producers (SPP)*2 in Thailand. The 12 SPPs responsible for these projects are all special purpose companies that are jointly owned by Gulf Energy Development Company Limited and Mitsui & Co., Ltd. The 12 power plants will all be natural gas fired combined cycle cogeneration facilities, and will be located in the Bangkok suburbs. Nine of these will have a 120 MW capacity, and the remaining three will have a 130 MW capacity, for a total generation capacity of 1,470 MW. The construction of these 12 plants is slated for completion between May 2017 and July 2019. The letters of intent received by Yokogawa (Thailand) Ltd. were submitted by Toyo Engineering Corporation, which will hold overall responsibility for the engineering, procurement of equipment and materials in Thailand, construction, and commissioning for the 12 projects. For each of these projects, Yokogawa (Thailand) will deliver the CENTUM® VP integrated production control system for the monitoring and control of the gas turbines, heat recovery steam generators, and a steam turbine. Yokogawa will also handle engineering for its products and will provide support with the installation and commissioning of these products and the training of operators. Yokogawa believes that it will win these orders due to its solid track record in Thailand with the delivery of control systems to SPPs, other types of power plant operators, and companies that have in-house power facilities. A contributing factor is the company's strong support organization in Thailand. Many SPP projects are currently underway in Thailand thanks to government policies that encourage the generation of more electricity for a growing economy. In addition to the 12 letters of intent for these SPPs, Yokogawa has received letters of intent for the Bang Pa-in Phase 2, TJ Cogen, SK Cogen, TP Cogen, and KCE cogeneration plant projects. With the formal receipt of the orders for each of these projects, Yokogawa will have received a total of 29 control system orders from Thai SPPs. Through such endeavors, Yokogawa is helping Thai companies achieve safe and stable plant operations. The company aims to keep growing its power-related control business in South and Southeast Asia, with the target of achieving US$100 million in annual sales throughout the region. Yokogawa Electric Corporation announces that it has concluded an agreement with Statoil ASA, a Norwegian energy company, to jointly develop a field wireless system. Under this agreement, Statoil and Yokogawa will draw on their respective strengths in plant operations and ISA100 Wireless™*1 field wireless technology to develop a system that can map noise levels in real time at Statoil's plants and upstream (exploration and production) facilities, as part of this company's Wireless Noise Surveillance Project (WiNoS). By introducing this system, Statoil will be able to obtain real-time noise information during work in noisy areas, and utilize the data for better risk control of noise exposure of personnel. In plants, there are many different noise sources, and the noise that is produced can have a harmful effect on workers, impairing their hearing. As noise levels often vary considerably, periodic monitoring with sensors must be done in real time and at multiple locations so that plans can be drawn up for protective measures such as restricting the amount of time workers spend in noisy work environments and requiring that they wear hearing protection. In a wide range of industries such as energy and materials, there is a growing emphasis on health, safety, and the environment (HSE). Data acquisition systems at production sites must be able to measure and collect not only flow rate, pressure, temperature, and other kinds of production data, but also environmental data such as the concentration of a gas. Wireless technology is well suited for use with such systems. Yokogawa has a wealth of experience in developing ISA100 Wireless-based wireless communications technologies and instruments, and has provided a variety of wireless field devices as well as adapters that can transform a conventional wired instrument into a wireless device, for use in oil and gas upstream production facilities. 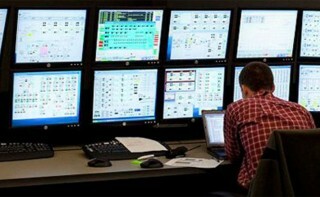 A number of Yokogawa field wireless systems are already in use at various Statoil facilities. Based on this agreement, Yokogawa will provide its technology and products to build the ISA100 Wireless communication system, and Statoil will utilize its expertise to determine the overall system specifications and conduct field tests. Technologies contributed by other Norwegian companies and research institutes will be used to develop the sensors and data visualization graphics. Under this agreement, Statoil and Yokogawa will conduct field tests of this system at a Statoil offshore platform in the North Sea to confirm its viability as an HSE solution. The technology company The Linde Group has been selected by Gazprom, Gazprom Pererabotka Blagoveshchensk and its general contractor NIPIgas as the licenser for cryogenic gas separation technology at the Amur Gas Processing Plant (Amur GPP), located in the far east of Russia. Linde will engineer and supply units for ethane and natural gas liquids (NGL) extraction and nitrogen rejection, as well as for helium purification, liquefaction and storage. The plant is part of Gazprom's project for the supply of Russian gas to China via the 'Power of Siberia' pipeline from eastern Siberian gas fields and will be built in five phases ending in 2024. "We are delighted to significantly extend our successful business relationship with Gazprom," said Büchele. "Not only will Amur GPP be one of the largest natural gas processing plants in the world, Linde is looking forward to cooperating on projects and technologies which will support Gazprom in its efforts to better market natural gas and its by-products." Linde's Engineering Division has world-class experience across the entire natural gas processing chain, from proprietary process technology to manufacturing specialised, tailor-made cryogenic equipment. This know-how is complemented by a long history of experience in the design and construction of turnkey projects.